On 27 February last year, the Supreme Court made a landmark decision in Sabina Damai's case by establishing the mother's nationality as a basis to grant citizenship. Sabina doesn't know who her father is and went to court after the district office repeatedly turned down her request for citizenship citing absence of the father. The verdict came as a ray of hope for many Nepalis who have been refused citizenship because of a discriminatory law that makes a father's citizenship mandatory for an offspring to be eligible for citizenship. It is not enough for the mother to be a Nepali. The Supreme Court ordered the Home Ministry to immediately start giving out citizenship certificates also based on a mother's papers. The ministry sent letters to all district administrations to that effect, but most districts still ask mothers to bring their husbands' citizenship papers, marriage certificates and official letters proving the child was born to the father. IN BLACK AND WHITE: Highlighted excerpts of Supreme Court's verdict in Sabina Damai case. R. Gurung is unable to get citizenship for her daughter because the Lalitpur District Administration Office has refused to act on the Supreme Court's directive. The office says it hasn't got the letter from the court. Her daughter is appearing for SLC exams this year and will need citizenship papers for further studies. "How long should I wait?" asks Gurung. "I gave birth to my daughter in Nepal but can't get her Nepali citizenship." Meera Dhungana, the lawyer who fought the case of Sabina Damai says district administrations are defying the court's order. "How can some district offices get the letters and others not?" she asks. "They are not willing to believe that a woman can give her name to her children." S. Rai, 65, has spent most of her life trying to get Nepali citizenships for her sons who are over 40. Her husband committed suicide soon after marriage, and his family disowned her. Rai raised her two sons by herself, and made sure they were well educated. But now can't get proper jobs, or own businesses or property. 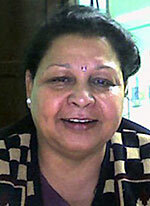 A. Shrestha was married to an Indian national, but separated few years later. The authorities have asked her to furnish the father's citizenship and their marriage certificate in order to process her daughter's citizenship papers. "I am worried about my daughter's future, where should I go?" she asks. Many women are now seeking citizenship papers through illegal channels. "They are forcing women like us to commit a crime out of desperation," Shrestha says, "is this the nationalism they are trying to protect?" Dhungana says the Supreme Court has given a very clear verdict, and adds: "It is now up to the state to act on it." According to the new draft provision in the new constitution, these are the criteria for citizenship. Lawyers say this is more regressive than existing laws. � Both mother and father have to be Nepali citizens for the children to get citizenship by descent. The Interim Constitution accepts the presence of either parent. �Children born of a Nepali and foreigner parent will not be eligible for Nepali citizenship unless the foreigner parent renounces his/her previous citizenship. In case they refuse to do so, the children will risk being stateless. � A child born of a Nepali mother but whose father's status is unknown will not be eligible for citizenship. � Children born in Nepal whose parents are unknown will get citizenship by descent but if one of the parents is discovered to be a non-Nepali, their citizenship will change to 'naturalised'. � A Nepali woman's foreigner husband will have to live in Nepal for 15 years on a regular basis before being considered for Nepali nationality whereas the foreigner wife of a Nepali husband will get Nepali citizenship as soon as she relinquishes her foreign citizenship. Nepali Times: What is stopping the district offices to issue citizenship in the mother's name? Dhungana: Nothing except entrenched patriarchal biases. The Supreme Court has already given its verdict. The authorities should provide citizenship on the mother's name without asking for the father's papers. What is the legal recourse for mothers who have been turned down by the district office? I suggest they take a copy of the Supreme Court verdict on Sabina Damai and show the authorities. If the officials still don't cooperate, they can file a contempt of the court's case against the district administration. The new draft provisions on citizenship have made it even more difficult for women to get citizenship rights for their children. It is really unfortunate and proves that women have never been equals in this country. There is a fundamental flaw in Nepal's citizenship laws. If my husband can make me a citizen of this country, why can't I confer the same on him? Is the government telling us that women are less nationalistic than men? Individuals should be able to get citizenship on either father's or mother's name without discrimination.
" �Children born of a Nepali and foreigner parent will not be eligible for Nepali citizenship unless the foreigner parent renounces his/her previous citizenship. In case they refuse to do so, the children will risk being stateless. should add, those who take dual citizenship should be jailed for 10yr, without the consent of the govt. Enough of Fear Mongering by the state. Allowing citizenship in the name of one's mother is NOT going to destroy the country. 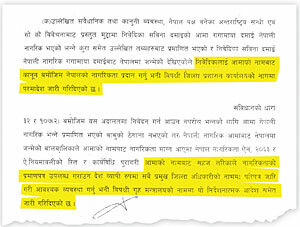 In the back of our mind we all think that issuing citizenship in the name of mother is dangerous for Nepal. Stop and think. That is a baseless claim borne of male chauvinistic mentality (which i too wrongly believe earlier) and is NOT true at all and not FAIR. 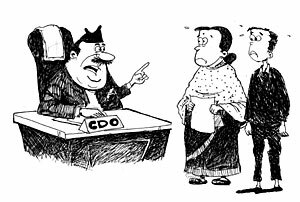 Bottom line: If the CDO's think that the existing practice of not issuing citizenship certificate in mother's name is fair, then you majesties, let's change roles and apply to men the same rule that applies on women! Then we'll know if REALLY is fair! This has been a hot debate since we failed to seal the border with India, the most populous country of the world. We can't do much about reviewing 1950 Indo-Nepal Treaty. Our incumbent Prime Minister has a vision to bargain away our prosperity. Indian FDI investment in Nepal does not create jobs for the locals. These jobs are for the Indian diaspora in Nepal. In these scenarios, it would be costly for us to grant citizenship to the child born of Indian father and now single Nepalese mother or the child born of unknown father. We could just issue a provisional visa to these children to work, study, travel without any restriction. We are surrounded by the criminals, thugs, administrators with short sightedness etc. 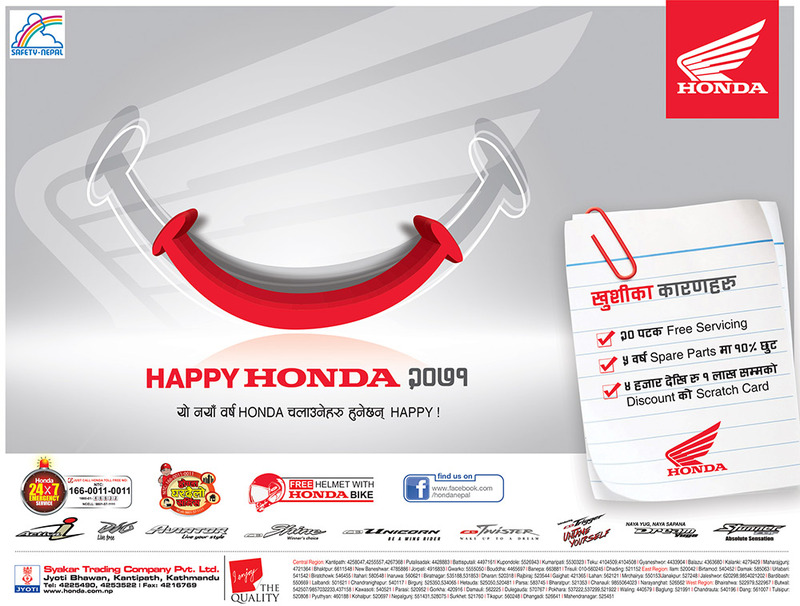 Nepali have plunged deep into the debts and some banks use the goons as in Bollywood style bhailog to confiscate the property if they fail to repay the installments. In one condition, s/he may be eligible to become a Nepali citizen only if they can prove that they contribute to our rural economy, must abide in the same place and possess no criminal records for 10 years. Even the provisions of granting citizenship to Indians and other nationalities must be made tougher. If they invest in regional and rural areas, or work there, or create jobs in these areas, they can be granted residency first and then can be granted citizenship. It would be beneficial for everyone and help contributing to rural economy. It would lessen urban slums and chaotic situation in the cities and our GDP could go up significantly. The imbalance and unequal distribution of wealth across socio-economic spectrum is caused by the huge difference in rural and urban economy. Our prime objective must be shortening the gap between rural and urban economy. Hence, we can't afford to become like benign and altruistic when we are already worse off geopolitically, economically, and politically. Rapidly deteriorating socio-economic situation and the presence of confusion across the socio-economic spectrum in terms of standard of living are to blame for escalated disaster in the nation. Moreover, to protect our motherland from unpredictable burden, 30 million citizens of tiny Himalayan nation, and their rights, we should not be too much emotional during policy making. The bottom line is we are not rich country yet. excuse me but there's a hint of , what i call, 'fear mongering' in your view. If you are really concerned about Indians/foreigners not getting nepali citizenship certificates please take a reality check. 24 Lakh fake citizenship has ALREADY been distributed in the Terai and lots of Tibetans have ALREADY acquired nepali citizenship. so why punish the Nepali women for that!!!! In any case, considering India's growth, it might be more FAVOURABLE to possess an indian citizenship than a nepalese. The 'fear mongering' is a residue of Panchayat era, when Ultra nationalism existed....without caring for those in need! these are people who call Nepal 'Motherland' but scorn their women folk!!! Hypocrites at best! My mother is Nepali and father is an Indian. I call my self as a true Nepali because I was born from Nepali mother's womb that too in Nepal . I was born on 1989 and when I was 16 year , still constitution of kingdom of Nepal 2047 was working. 2047 constitution had provision of providing citizenship only from father's name and nationality . Time passed and when I gave SLC exam then just after few days people's movement II started which in result made interim constitution 2063 . Interim constitution not only made provision to get citizenship from mother's name but also made provision for children of Nepali woman married to foreign man to get second class citizenship . Its 2068 BS now but within this 5 year since interim constitution was promulgated not a single child born from Nepali mother and foreign father has got that second class acquired citizenship. But my friend whose father is Nepali and mother is Japani holds first class ancestor citizenship . What a discrimination !!! I was in womb of Nepali mother for 9 months but still like refugee without citizenship in my own nation when my age is 22 and doing bachelor but my friend who got birth from a foreign woman married to Nepali man hold first class citizenship . Its against my human right because my motherland is making me stateless . This nation can say to me that you are not our citizen but the male dominated 601 CA members doesnot have gut to say get out from Nepal . Because I have answer to those inhumane that this nation is mine too as my mother is Nepali . Dear Suraj. I fully support your line of argument. What a load of rubbish - men is superior than women. Mr Prime Minister � please act immediately to clean such rubbish. For the first time, I am ashamed to be called Nepali.